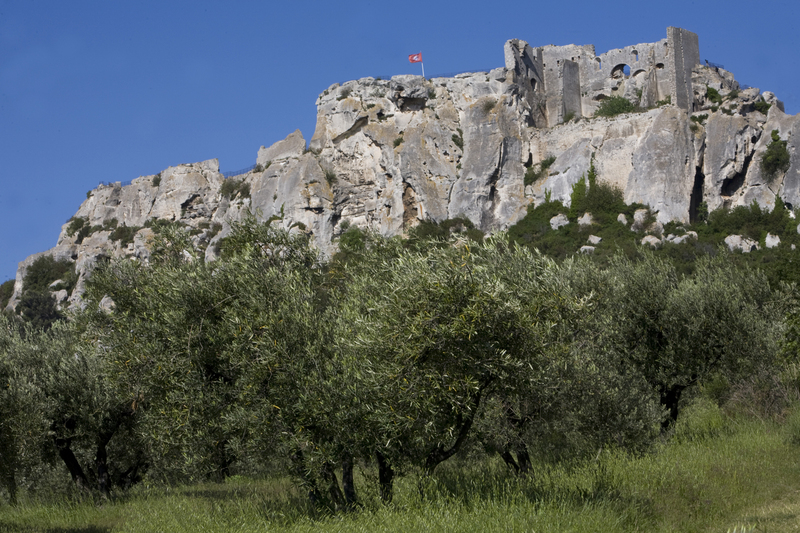 IN THE VALLÉE DES BAUX DE PROVENCE, THE OLIVE TREE IS KING. A member of the Oleceae family, and known by the Latin name of Olea europea L sativa, it thrives in our Mediterranean climate. It is a rustic plant, able to withstand the brutal Mistral wind and content in the chalky soils of the sun-soaked foothills of Les Alpilles. It is an indomitable, food-giving warrior. It is also eternal, never loses its leaves, and is able to regenerate from its own roots. One of its main qualities is being able to withstand the trials inflicted by Mother Nature. In Provence, every senior citizen can recall the terrible freeze of February 1956, which struck down the olive trees in the Vallée des Baux de Provence. You can identify the rare survivors by their single, knotty and highly-developed trunk. All the other trees were cut off at the base. The four, five or six charpentières, or main branches, have grown back, and all belong to the same root system. Centuries ago, the olive tree found its homeland in Provence. And has thus enhanced the beauty of a landscape celebrated the world over.